Boyds, Md. (Jan. 9, 2019) – The Washington Spirit has acquired the No. 7 overall pick in the 2019 NWSL College Draft via trade from the Chicago Red Stars. In exchange, Washington sends the 20th pick in the 2019 College Draft and the club’s natural first round selection in the 2020 College Draft to the Red Stars. 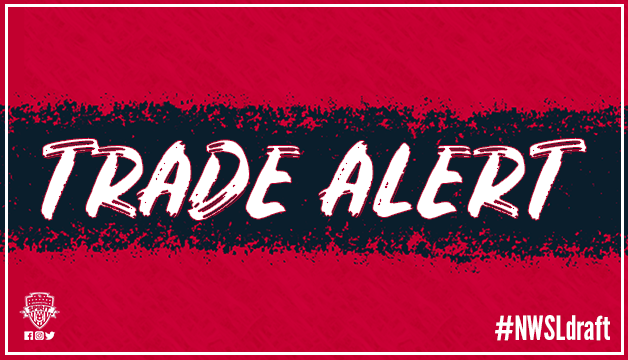 With the trade, the Spirit holds five total picks in Thursday’s draft, including three selections in the first round at 4th, 7th and 8th overall. Washington also holds the 29th and 31st selections, both coming in the fourth round. * The Washington Spirit acquires the No. 7 overall pick in the 2019 NWSL College Draft via trade from the Chicago Red Stars, in exchange for the No. 20 overall pick in the 2019 College Draft and the Spirit’s natural first round selection in the 2020 College Draft.